Microgrids can protect public health during power outages by keeping the water clean, ensuring medical facilities are running, and keeping people cool during dangerous heat waves. Gundlach provides a number of recommendations aimed at protecting public health during power outages. Policymakers, especially at the state level, need to anticipate severe electricity disruptions and place a value on the benefits of resilience, he says in the report. They also need to address the legal, regulatory and utility challenges to microgrid deployment. Part of the challenge is that different stakeholders in the public health and electricity sectors stress different resilience objectives related to their own missions, the report says. “Fostering resilience means anticipating severe disruptions as well as planning, investing, and designing so that such disruptions, which are certain to occur, are made shallower in depth and shorter in duration,” says the report, which Gundlach wrote as a staff attorney at the Sabin Center for Climate Change Law. In his report, he cites the public-health effects of Superstorm Sandy as an example. Outages knocked out power at medical facilities as well as pump stations and wastewater treatment facilities, leading to the release of 11 billion gallons of partially treated sewage into waterways, says the report. Outages also disabled elevators and plumbing, leaving sick and elderly people stranded without food, water, medication or the ability to flush toilets. Such examples demonstrate that in order to protect public health during storms, floods, heat waves and other emergencies, it’s critical to maintain electricity services that support wastewater and drinking water treatment plants, health care facilities and communications infrastructure, the report says. Generally, utilities respond to outages by “handing off” the problem to others, says the report. “Grid power fails, and a small constellation of backup generators maintained independently by individual campuses, facilities, or individual structures switch on, or fail to switch on, or were never purchased and so leave the location dark and its equipment inoperative,” says the report. Microgrids can solve this problem — but microgrid owners and developers are often handcuffed by legal and policy constraints, the report says. The report aims to encourage the development of public-health and electricity policies that promote microgrid siting, design and operation. Barriers to developing “technically viable, cost-effective microgrids” include laws and regulations at the federal, state and local levels, including grid interconnection, metering, and performance requirements, says the report. The report calls for policymakers to identify the benefits of resilience and figure out how to allocate the costs of microgrids, as well as allocate their benefits. Right now, there’s no established value stream for resilience, the report says. What’s needed is guidance about how to measure resilience. “States are capable of devising the sort of analytical protocols called for here — New York, for instance, developed a tool for microgrids that seeks to capture their costs and benefits — but this solution would be most efficiently devised and promulgated from the national level with federal support,” says the report. Such tools could be created by a National Academies of Sciences panel or a group of experts convened by the Department of Energy or White House Council on Environmental Quality, the report says. States also need to identify potential dangers — flooding or wildfires, for example — that could result from climate change, as well as areas that are vulnerable to such dangers, says the report. Connecticut has done this, and suggested hardening, redesigning and relocating some critical facilities such as drinking water infrastructure, says the report. Information created by assessments like Connecticut’s about future risks, needs and options will help identify the costs and benefits needed for microgrid siting and design, the report says. 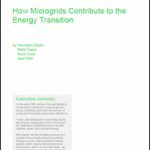 Otherwise, microgrid developers might have to rely on guesswork to make important decisions, says the report. 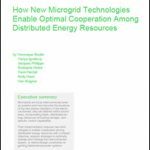 In addition, the report calls for states to create replicable models for microgrid development and operation. Puerto Rico, for example, has a plan that proposes several regulatory classifications for microgrids and creates fees for microgrids’ use of facilities owned by the island-wide utility, the report says. Not only should states look to Puerto Rico for examples; they should also “imitate and improve on” the NY Prize competition, says the report. The NY Prize competition aims to help communities develop microgrids that can operate independently of the grid during power outages. “The value of a microgrid to public health and that microgrid’s contribution to local resilience — as defined not only by the electricity community but also the public health community — can only be fully realized if its design and development is part of a larger process,” concludes the report. Explore how microgrids can protect public health and other issues relevant to distributed energy at Microgrid 2019, May 14-16 in San Diego, Calif.
What Makes Hospital Microgrids Efficient and Green? I think we should begin supporting the Green New Deal and help Microgrids move forward. Please share this message with those who are in favor of deploying more microgrids to repower the world. I’ve invented and developed technology that can enable distributed microgrids at distributed city and county scale and such projects can enable the Green New Deal. With support: seed development and demonstration funding could be available from the Alfred P. Sloan foundation and many other foundations and funding sources.